Sharing a room with a person you don’t know as well as with friends may be challenging. It is a tough task to live with somebody since all people have different habits. Therefore, there is a high percentage of appearing conflicts between college roommates. However, most of them are avoidable and preventable if you know how to properly behave. Learning how to live with another person is a huge experience and an important lesson in life of every student. It is your first adult experience so it is vital to make it easy and interesting. 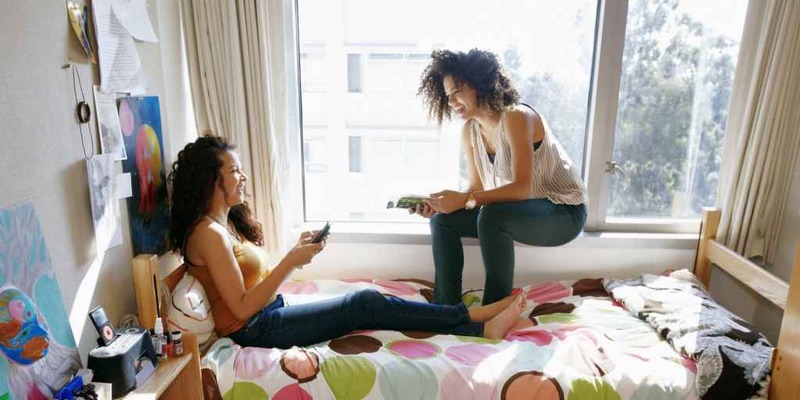 In college, there a lot of things to worry about, therefore, qualitycustomessays.com provides you with some recommendations in order to make your living with college roommate comfortable and peaceful. Be Friendly with your Roommate. The best way to build good relations is to communicate with your new college roommate. It is a quick and easy way to know a person. Find something common. If you want to live without everyday conflicts it is vital to maintain friendly relationship. Thus, try to become friends with a new roommate. Before becoming roommates, you should to set a list of rules. Establish some boundaries and duties. Discuss your habits so that you both are aware of fads of each other. Talk about food and use of personal items. Respect Beliefs and Opinions of your Roommate. It is clear that people have different points of view. We share different religious beliefs and political opinions, it is necessary and very important to respect a standpoint of other person. If you are different people, do not start to talk on themes which may lead to conflict situations. You go to college which means that you begin adult life, therefore, you should behave as a clever adult person. Adults know that every conflict situation may be solved thanks to compromise. Do not be very persistent, hear the opinion of your roommate, and you will definitely find solutions to the arising problems.